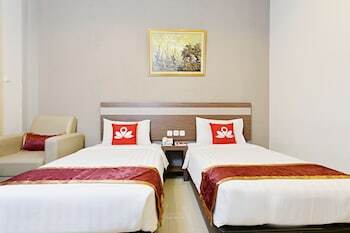 With a stay at ZEN Rooms Pangaran Dalem Kaum in Bandung (Lengkong), you'll be a 5-minute walk from Merdeka Building and 6 minutes by foot from Grand Mosque. Featured amenities include a 24-hour front desk and an elevator (lift). Free self parking is available onsite.